Over the last 20 years I have worked as a wine journalist for various wine magazines, guides and leading companies in the wine trade in Spain. It is highly likely that my Basque origin (we enjoy food and getting together around a table) naturally led me to this liquid world. Best of all, I've been able to bring wine together with my passion to tell stories. I firmly believe that there has never been as much to say about Spanish wine as there is right now - we are living an incredibly exciting time and discovering terroirs and grapes. I hope that Spanish Wine Lover, thanks to its bilingual format, contributes to spread the word about our wineries, regions, wines and landscapes. Yolanda Ortiz de Arri holds BA Honours degrees in Journalism and in Translation and Interpreting. She has worked on print, TV and online media as well as corporate communications and is fluent in both Spanish and English. Out of her 13-year stay in England, she is proud of the five years she spent working for the Financial Times, where she learnt most of what she knows about journalism. Back in Spain and after some time in Barcelona, she realised that her native Vitoria in the Basque Country was the perfect place to settle, put in practice her love of gastronomy and work in wine, her great passion. 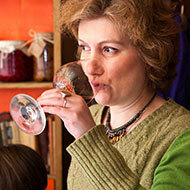 Yolanda has passed her WSET Advanced and is a Certified Sherry Educator. As well as writing articles, she takes care of the English edition in Spanish Wine Lover. Pepe Franco (Murcia, 1959) spent some time studying Sociology at the Complutense University in Madrid where he reached the conclusion that his real interest lied in photojournalism, a profession he has been practising as a freelance for the past 30 years. With a string of awards for his photojournalism pieces, his passion is the world of wine, a speciality he started to delve into in the late 1980s with visits to wineries and vineyards around the world. He dreams of “taking a photo someday that manages to convey all the beauty, pleasure and emotion contained in the universe of wine.” He is the curator of our Photoblog and author of many of the images that will be published on this site. Félix Cabello was born in Madrid but traces back his origins to the Riojan villages of Tricio and Aguilar del Río Alhama. 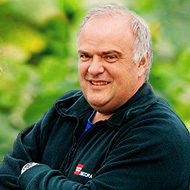 He is one of Spain's leading experts in grape varieties and has written extensively on the subject for numerous publications. He currently heads the Agricultural Food Department at the Institute of Agriculture and Food Investigation in Madrid and is in charge of El Encín Vines Collection, the largest of its kind in Spain. Agricultural engineer and with a PhD from Madrid Polytechnic University, his research has focused on the identification and assessment of grape varieties, both from Spain and from the rest of Europe. He has just launched his first wine from an old Garnacha vineyard which belongs to his family. Pedro Ballesteros MW got his Agrofood Engineer Degree at Universidad Politécnica de Madrid, Spain, as well as his Master Degree in Viticulture & Oenology. His wine education was carried out in Belgium, The Netherlands, Germany, Austria and London, where he became a member of the Institute of Masters of Wine. 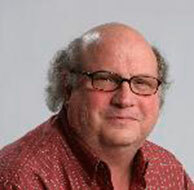 He is columnist at Vino! Magazine (Belgium), PlanetaVino (Spain) and writes for Decanter (UK), Tong (Belgium), Vinum (Switzerland) and Vinos y Viajes (USA).He is co-Chair for Spain and for Sherry at Decanter World Wine Awards. Member of the Governing Council of the Institute of Masters of Wine and of the Governing Board of the Spanish Taster Union. 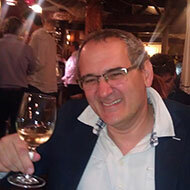 Expert at OIV for Spain, he has given several hundred lectures and tutored tastings around the world. Ricard Giner grew up in the UK in a Catalan-speaking household. He was educated at schools and universities in England and Scotland, primarily studying philosophy. His primary professional activity is as a digital strategist in the international student recruitment sector for higher education. He is also a Co-opted Member of the Committee of The Wine Society. Ricard's wine passions are primarily regions and indigenous varieties of Spain, as well as Burgundy and Pinot Noir in general, and the wines of Italy, USA, New Zealand, Chile and Australia. Gonzalo Robledo was born in a coffee growing region in Colombia. After completing studies in art and cinema in Colombia, Spain, Italy and the US he works as a journalist in Tokyo, where he moved after an encounter in Barcelona with a Japanese woman. Since 1981 he has worked as a correspondent for El País, Spanish television TVE and Agencia Efe. 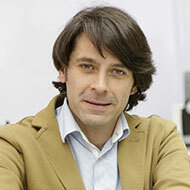 He also produces documentaries for TV and is an adviser in events to promote Spain in Japan. As a winelover, he has adopted the strict filter of most Japanese consumers, who have turned Tokyo into a city known for high quality wines at increasingly affordable prices. Maite Corsín A journalist and marketing expert, Maite currently runs a strategic consultancy for wineries, wine retailers and restaurants with the sole aim to help them sell more and stand out in the market. She has worked for different companies including Burson Marsteller, wine retailer Lavinia in Madrid and the leading wine guide Guia Peñín to Spanish Wines, where she spent 11 years tasting and writing. She also specializes in creating websites and e-commerce projects related to food and wine. She is the author of Terapia antiestrés para entender de vinos (MR Editions), a book for dummies which aims to be a coaching programme for wine buyers. José Honorio is the man behind the SWL videos. Born in Zamora in northwestern Spain, he is a self-taught guy. 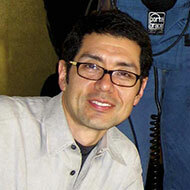 As a teenager José used to join his father when he worked on his video and photographic reports. 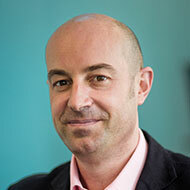 He has worked on all kinds of programmes, features and corporate videos over the past 20 years. Earlier in his career, he focused in ethnography and nature but in the late 90s he became fascinated by wine after a stint working for food TV channel Canal Cocina. His fascination has not ceased -after filming more than 250 wineries they still appear different to him. 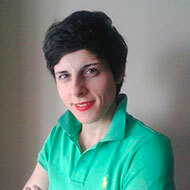 Elisa Errea holds a degree in English Philology and a Master in Viticulture, Winemaking and Wine Marketing. She´s also an Associate Member of the Institute of Wines & Spirits (WSET Diploma). During her 15 years in the wine industry she has worked in the key international markets for Spanish wines. After ten years working for the Codorníu Group and three living in Brussels, she founded The Wine Studio, a consultancy for wineries and wine institutions and Approved Programme Provider of the WSET. Elisa proclaims the need of approaching wine to consumers and offering a much more practical education for professionals. Elisa Errea also lectures at the Sommelier School of Madrid Chamber of Commerce and at the Master Degrees in Wine Management and Internationalization at Valladolid Master of Commerce. Bill Ward Bill Ward has been covering wine for the better part of a century (the 21st). 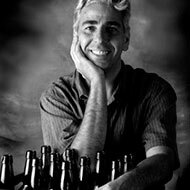 His “Liquid Assets” column runs in the Minneapolis Star Tribune, and his work has appeared in the Wine Enthusiast, Sommelier Journal and Tasting Panel magazine. He has a wine website, www.decant-this.com. He was an editor and writer at the Star Tribune for 28 years, and he won a James Beard Award in 2004 for a series on Italian regional cuisine. He lives in Hopkins, Minn., with his wife, Sandy. Lucas Payá Having worked with some of the most respected international figures in gastronomy, Lucas has earned global recognition as a sommelier (ASI Diploma), beverage director and libations specialist. For five years he served as head sommelier for Ferran Adrià's elBulli; most recently he worked as the wine & beverage director for José Andrés' ThinkFoodGroups (TGF) being involved in the opening and direction of renowned culinary concepts like Bazaar (SLS Hotel in Miami), Mi Casa (Ritz-Carlton in Dorado Beach, Puerto Rico) or Minibar by José Andrés. In 2009 The Tasting Panel named him Best Wine Director in the City of Los Angeles, CA. Miquel Hudin Originally from California, Miquel has worked in the wine trade since starting at Niebaum-Coppola (now Inglenook) in Napa Valley. While founding the Vinologue wine & travel guidebook series in 2007 he also worked for a Central European wine importer as well as an Italian wine shop in San Francisco. 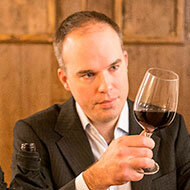 In 2012 he moved to Spain and writes articles for publications such as Decanter, Jancis Robinson, & Tim Atkin. He has monthly wine columns in the Barcelona magazines, Metropolitan and Vadeví. He holds the Certified Sommelier title with the Court of Master Sommeliers in London as well as Certified Sherry Educator. Tommasella Perniciaro was born in Reggio Calabria, Italy. After finishing her university degree in Political Science and a Master in Marketing and Communication in Italy, she worked for 12 years as a web project manager in digital agencies in Italy and Spain, where she currently lives. In the meanwhile, she has been cultivating her passion for wine and has successfully completed the WSET Level 4 Diploma in Wine & Spirits in London. 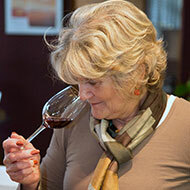 She is an associate judge in international wine competitions and an independent wine writer. François Monti is a Belgian journalist, translator and writer based in Madrid since 2009. He regularly writes for French magazine Ginger, founded in 2012 by Fernando Castellon, and the Havana Cocteles website from Havana Club. His blog, Bottoms Up, is a must-read for French- and Spanish-speaking cocktail aficionados. After Prohibitions, a short pamphlet against the State’s anti-alcohol policies, François Monti has recently published 101 Cocktails, an exploration of cocktail culture and history in as many recipes. Next June, he will publish El Gran Libro del Vermut, his first book in Spanish. 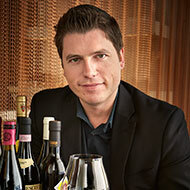 Cruz Liljegren is an internationally experienced wine business professional of Swedish nationality. He is one of three Scandinavians to complete the prestigious master’s degree in wine business from the Burgundy School of Business, Dijon - Paris. Additionally he holds a BA honours degree in culinary arts and hospitality science from Örebro University. Cruz has written over 150 articles on wine culture/business in various media such as Harpers Wine and Spirits and Vinbanken.se — the biggest online wine publication in Sweden. In 2015 he was the youngest ever to be included into a Circle of Wine Writers, London. 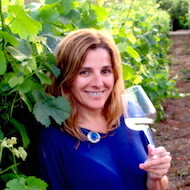 Pilar Molestina is a wine journalist based in Madrid. After being in charge of one of Spain's first wine clubs in the 1980s, she has edited different wine magazines and writes for various publications about wine and wine-related topics. Pilar has been the editor of El País' wine guide to Spanish wines for the last 22 years and she is also a member of national and international tasting panels. A frequent speaker and educator, she tastes about 5,000 wines a year and has a profound knowledge of the Spanish wine scene. 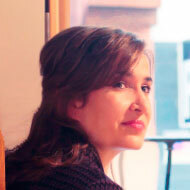 Anna Kukulina was for five years editor of Vinomania magazine, the partner of British publication Wine International. For the last ten years she has worked as food and wine editor for Simple Wine News. She also acts as jury at sommelier contests in Russia and in various international wine competitions. Anna Harris-Noble was born in Essex in the UK, and fell in love with Spanish gastronomy when she spent a year living in Navarra as part of her degree in French and Spanish. She then lived in France before moving back to UK and making her career in wine marketing. 8 years at one of London’s leading food and drink PR agencies saw her run accounts for major wine brands including Baron Philippe de Rothschild, Champagne Lanson, Cono Sur and Wines from Rioja. 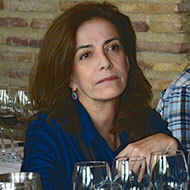 She moved to Madrid in 2011, taking a role in the marketing department of Hijos de Antonio Barceló winery group. In early 2015 she set up Taste Exchange, offering fun and creative wine tasting, training and events in Madrid in English, as well as marketing and specialist translation services to wineries. Anna holds the Level 4 Diploma from the WSET. Ana Margareto holds a BA degree in Business Administration and has specialized in Foreign Trade. She was born in Bilbao, raised in Valladolid, and currently lives in Germany, after having spent time in Austria, Belgium and the UK. 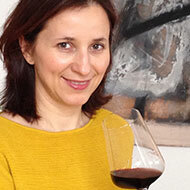 A wine professional for 17 years, she has worked for the Chamber of Commerce of Frankfurt, managed the promotion of wines from Chile, Spain, Portugal or Chianti Classico for one of the leading wine agencies in Germany and currently takes care of communication and the Spanish wines portfolio for a German wine importer. 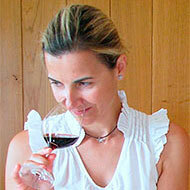 She holds the WSET Diploma and teaches courses on Spanish and Portuguese wines to professionals and consumers. 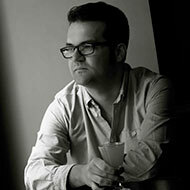 José Carlos Román trained as a sommelier and holds a Diploma in Teaching Methodology. 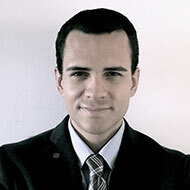 A trainer of trainers, he also graduated in Purchasing & Supply Chain Management by the IE Business School in Madrid. He has worked as purchasing manager and consulting sommelier for some of the best wine shops in Madrid such as Enoteca Barolo or Lavinia. 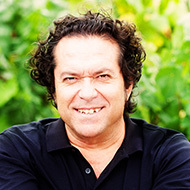 He has collaborated as a taster and writer for trade publications such as Guía de Vinos Gourmets, Restauradores, Vino y Gastronomía, Sobremesa and The Huffington Post Spain. After living in the US for several years he has returned to Spain to resume his career as an educator and join the team at Bodegas Comenge in Ribera del Duero as a Brand Ambassador. Amy Bingham got her start in wine more than a decade ago in a rather unlikely place, the Hill Country of Texas. After a two-year detour as a political journalist in Washington, D.C. Amy followed her passion for wine to Spain, in her opinion the best country in the world for food, wine and the stories that surround them! She has tasted her way through Seville, Galicia and is now based in Madrid where she has worked in food and wine since 2013. 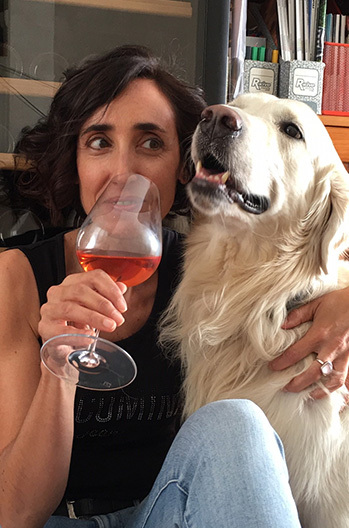 Amy has written guides to the city for various hotels and blogs, hosts fun and informal wine tastings for Madrid Uncorked and shares her love for Spain and its wines as a manager at Devour Tours. Mónica R. Goya is a Spanish journalist and photographer based in London. She holds a BA Honours degree in Journalism from Santiago de Compostela University and a Lifestyle Journalism MA from the University for the Creative Arts (UK). Her work focuses on gastronomy, travel, urban farming and of course, wine. 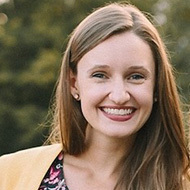 Furthermore, she has experience in corporate communications and copy-writing. She is fluent in English and Spanish and can communicate in French and Italian. She passed her WSET Level 2 with distinction and really enjoys producing imagery for wineries, especially when shooting in the vineyards. 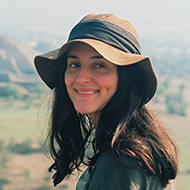 Her work has appeared in publications such as The Guardian, El País Semanal, Condé Nast Traveler, Food & Wine Mexico, Iberia Ronda or Tasting Table among others.